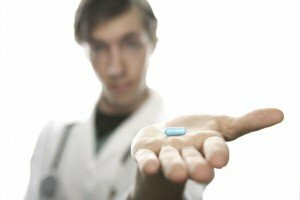 Therapy or medication for depression? Which is more effective? When might you want to consider both treatments? These are among the most frequent questions that we are asked. A recent study published in JAMA Psychiatry provides the best information available about how to make this decision. The study involved 452 patients who received antidepressant medication treatment for depression with or without cognitive therapy. This is the largest study and the one with the longest follow up to evaluate this question. In the study, clinicians could make multiple adjustments in the treatment regimen for almost two years in order to achieve remission. And the study continued for up to an additional 3 years with treatment designed to prevent relapse. By and large the findings supported the “conventional wisdom” that combined treatment was more effective than just treatment with medication. But the study identified two groups of patients who had limited benefit from the combination treatment – patients with milder depression, and patients which chronic depression. We will come back to the issue of patients with chronic depression. As Michael Thase notes, in an accompanying editorial, the difference in outcomes for patients with more severe, and less chronic, depression was very significant. But what of the patients who had a severe, but chronic depression? Dr. Thase notes that for this group of patients other approaches to treatment may be more effective than traditional cognitive therapy, particularly the cognitive behavioral analysis system of psychotherapy (CBASP).